About 12 strawberries quartered, or as many as you prefer! Place lemon and strawberries in bottom of a large pitcher; add a layer of ice then fill with water. 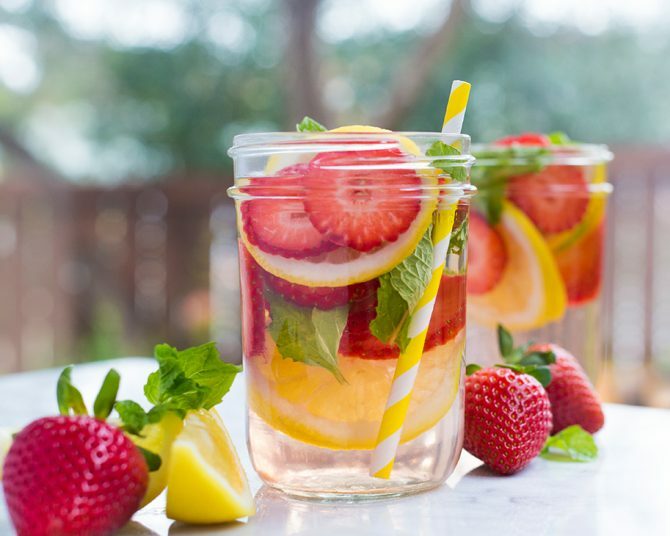 Refrigerate for about an hour to infuse water with fruit. Add mint leaves to taste. You can refill pitcher with water a couple of times before needing to refresh fruit, if you keep refrigerated.